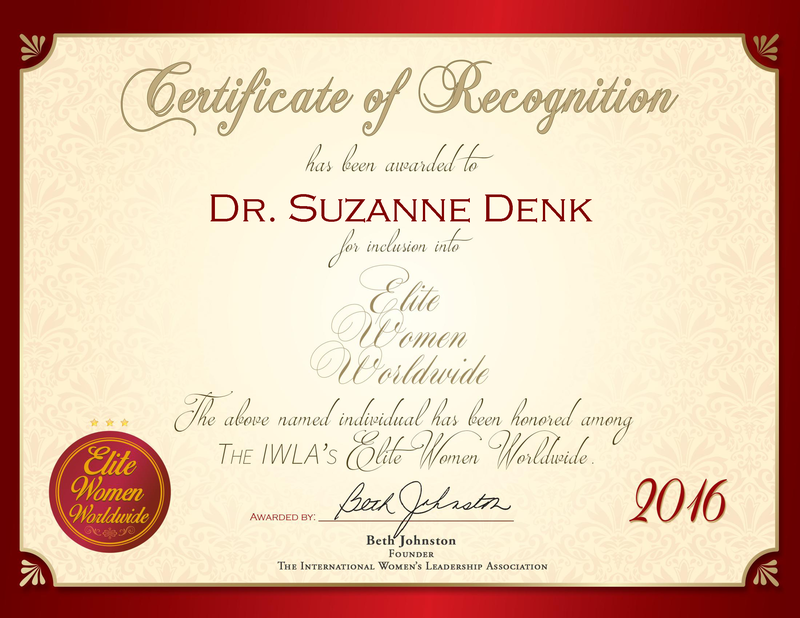 Company: Psychological Wellness Center, Inc.
La Grange, IL, United States, September 1, 2016, Suzanne Denk, Owner, President and Co-Author of Psychological Wellness Center, Inc., has been recognized by Elite Women Worldwide, for dedication, achievement and leadership in counseling and therapy. Dr. Denk recognizes that therapy is not a ‘one-size-fits-all’ deal; therefore, each client she sees receives a tremendous amount of attention and personal care. Endeavoring to break the stigma surrounding mental health, she places emphasis on educating the health aspect. On a daily basis, she meets with individual and clients in relationships to help empower others to achieve and better themselves. Her areas of expertise include life transitions, stressors, relationships, martial, partner, family and parenting issues, individual issues, spirituality, and coping with chronic illness and pain. After attending Adler University, Dr. Denk received a doctorate in clinical psychology. She received the degree at age 54, and hopes that her career path serves as an inspiration for others. In addition to her work in therapy, she is the co-author of ‘The Inner Circle Chronicles,’ and is working on co-authoring a second book titled, ‘The Secret Child.’ Dr. Denk has published articles in Aspire magazine. 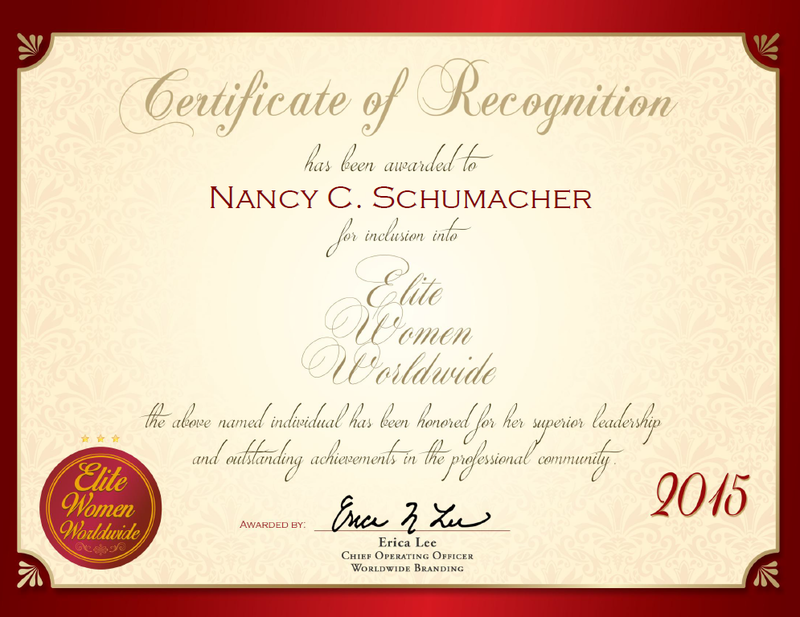 She supports the American Red Cross and the Professional Health Worker. Dr. Denk also supports NuCerity Products, a skin-care company focused on anti-aging.